I was deeply encouraged to hear about the amazing things from the Awakening revival event in Melbourne a couple of weeks ago. Tens of thousands of people were flooding the Marvel Stadium to worship Jesus, hundreds of people were charging down the aisles away from their old life to embrace the life of hope and faith that Jesus gives us. 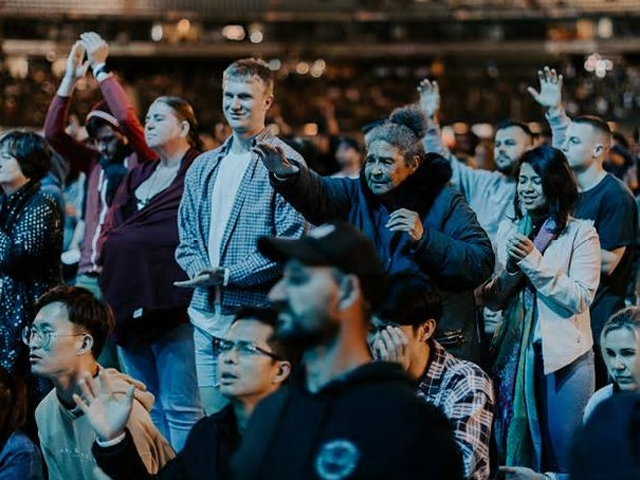 Mainstream media was reporting “Thousands of ‘Jesus Freaks’ were around the Marvel Stadium area sharing about Jesus and praying for people. There is a video doing the rounds of social media where hundreds of people were singing “Amazing Grace” outside Southern Cross Station in Melbourne. These are days we have not seen but, you know what? There is nothing unusual about this in God’s world, in fact this is “Normal Christianity”. Normal Christianity is a phrase that began in a book by Johnathan Welton, but is slowly starting to enter the vocabulary of the Church by the Evangelist. Going out and sharing the love of Jesus and communicating the Christian Faith has been described as evangelism or going on outreach, but I am proposing, as are several of these evangelists, that the phrase outreach and evangelism no longer exists in the Church world but is simply doing, “Normal Christianity”. Let’s go back to Acts. What is the first thing the disciples did after being filled with the Holy Spirit in Acts? A: They shared the Gospel with anyone who would listen. (Acts Chapter two verse fourteen to forty) and they did it in a public place and 3,000 people came to know Jesus as their Lord and Saviour after that incredible sermon from Peter who only seven weeks earlier denied Jesus three times. The disciples did not call it Evangelism they did not call Outreach or Revival, they just shared what was on their heart. That is just Normal Christianity—they simply remembered the last thing Jesus told them to do which was to teach people to obey everything he told them to do (Matthew chapter 28, verse 20). That is normal, yet why is it that when Christians go out and tell people about the love of Jesus especially in an organised setting, it’s considered almost abnormal and some cases met with a little bit of fear. I bet most people reading this article probably have some element of fear about taking the love of God to the streets. Let’s face it, people who do that are not given nice names. News Limited were calling them “Jesus Freaks” the other week. Most of the time, anyone preaching on a street corner are mocked. I can certainly understand why to some people, that would not be considered desirable. But I do know the devil will fight against you going out and sharing the love of Jesus, he won’t fight you talking about loreal or politics. It’s funny because that same person has no issues talking to me about his health or things that are bothering him. You see the devil does not fight you when it comes to talking about things that have no eternal consequences, but he will fight you in mentioning the name of Jesus. It’s the name demons tremble at the sound of, there is no other name given to mankind that can set them free, there is only one way to the Father and that is through Jesus Christ. It is time to stop giving place to the devil and start normalising going out on the streets and doing what he has told us to do. Most of the time the only reason why we don’t is because we have a ‘fear of man’. What will man think of me? If you are one of those people who struggles with what man might think of you. I pray that as you are reading this, whatever fear of man you have, in the name of Jesus it will be broken, I pray that the Holy Spirit that gives you the anointing to go out and proclaim good news for the poor to lay hands on the sick, will give you the boldness to share God’s word wherever you may go. Afterall there is nothing weird about what you are doing, you are simply carrying Jesus wherever you go. Man did not give you life and Man has no control over your eternal destiny. Put your trust and hope in the one that does. Ben Kruzins is the Campus Pastor of The Hub Baptist Church in Ocean Shores on the North Coast of New South Wales. 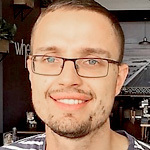 He is also a Journalism graduate who has written articles in The Canberra Times and The Sydney Morning Herald.